Summers over and it’s time to go back to school. Now that we’ve both graduated university it’s strange to find that we’re no longer in education. In fact, it’s been 10 years since we first started high school, can you believe it? It’s been a long time since I first whipped out that Dream Matte Mousse every morning. Although my school had uniforms and such, makeup was allowed as long as it was kept very natural. I thought I’d share a couple of suggestions for school appropriate makeup. If you can do without foundation, don’t wear it. I first started getting really bad skin in high school so makeup was always a way to counter that and give me a little bit more confidence. Foundation should really be used for a your skin but better kind of look. My choice of foundation at the time used to be Rimmel Stay Matte or Dream Matte Mousse but with my pale complexion I’m not sure they’d be a great match for me anymore. I’d stick to the light to medium side of foundation or even a tinted moisturiser might do the trick. You don’t want to be stuck in a classroom all day with heavy makeup trust me! A little hint of powder like the Rimmel Stay Matte Powder will help keep the shine away. Don’t go crazy with colour. Infact the only colour I’d recommend is a very subtle blush on your cheeks. 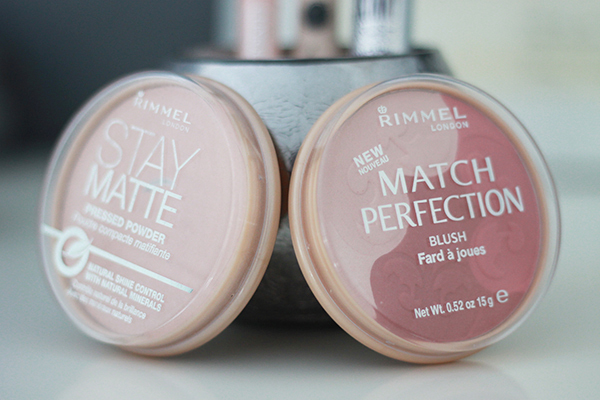 I recently picked up the Rimmel Match Perfection Blush which has three shades in it where you can mix and match the colours or use them individually. If used altogether it actually gives the most gorgeous subtle, matte glow to your cheeks. It doesn’t look shimmery or too bright and you get quite a lot of product for your money. I’d highly recommend it. A little concealer can go a long way and if I’m having a good skin day it’s all I’ll wear. Of course I still love the Collection Lasting Perfection Concealer but it can be a little cakey at times. You might want to try Rimmel Wake Me Up or the Clinique Airbrush Concealer which is very lightweight but keeps your skin looking natural. If your school is a little more strict on makeup, go for a clear mascara. If not, pick up one with a very skinny brush. Not those massive volume chunky mascaras which give you spidery lashes! My favourite at the moment is the Eyeko Lengthening Skinny Brush* which gives you a very angelic look and doesn’t look over the top. I much prefer skinny brushes than larger ones. That is the complete look! Of course it depends on your school’s makeup policy but in my experience, as long as it’s along the lines of enhancing your natural features and not adding anything too crazy then it’s all okay. 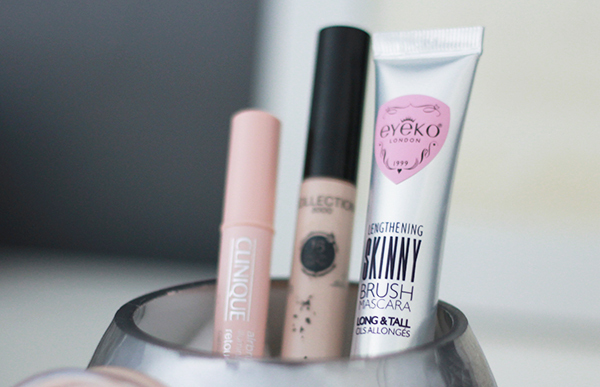 Forget lipstick, bronzer, eyeshadow and all that jazz and save your best stuff for the weekend! Let me know about your experiences about wearing makeup to school.